: Founded at the tail end of World War I, Domilise’s is a local institution. Don’t expect anything fancy or any pampering --- it’s all about the food. 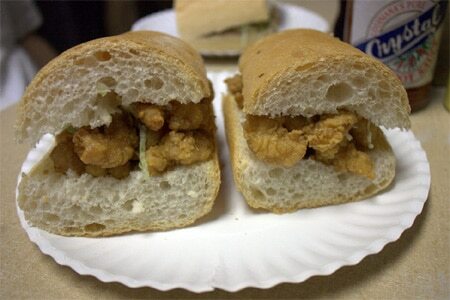 Nearly everything on the menu of this Uptown, backstreet po' boy shop is familiar, beloved and absolutely classic. Made-to-order, the definitive sandwiches fill local, thin-crusted French bread with any of several stuffings: fried shrimp; fried oysters; hot roast beef with gravy; or hot sausage among them. Domilise’s roast beef is ‘cut-it-with-a-fork’ tender, and the shrimp and catfish are fried to golden. If you’re a first-timer, set your GPS because Domilise’s is off the beaten path, and well worth finding. Beer and soft drinks are always ice cold, too.